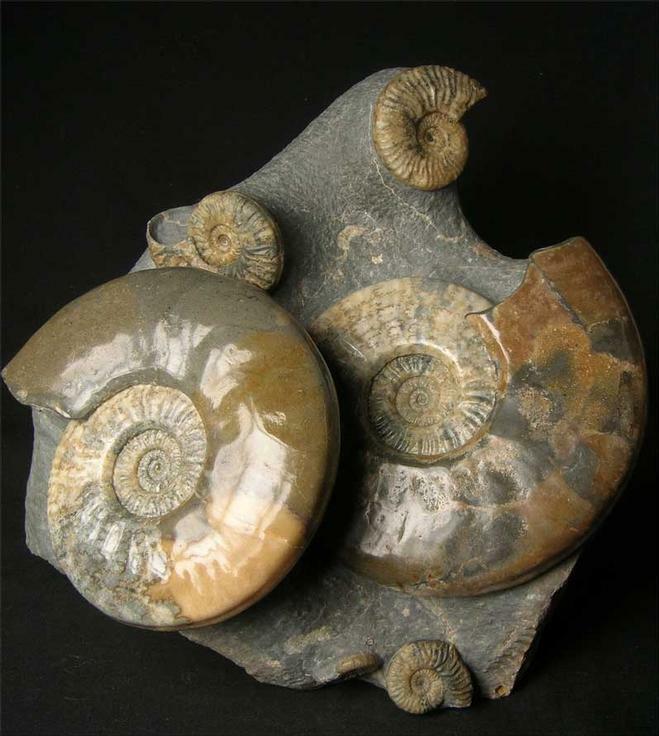 Only very rarely do multi-ammonite fossils of this stunning calibre come onto the open market for sale. 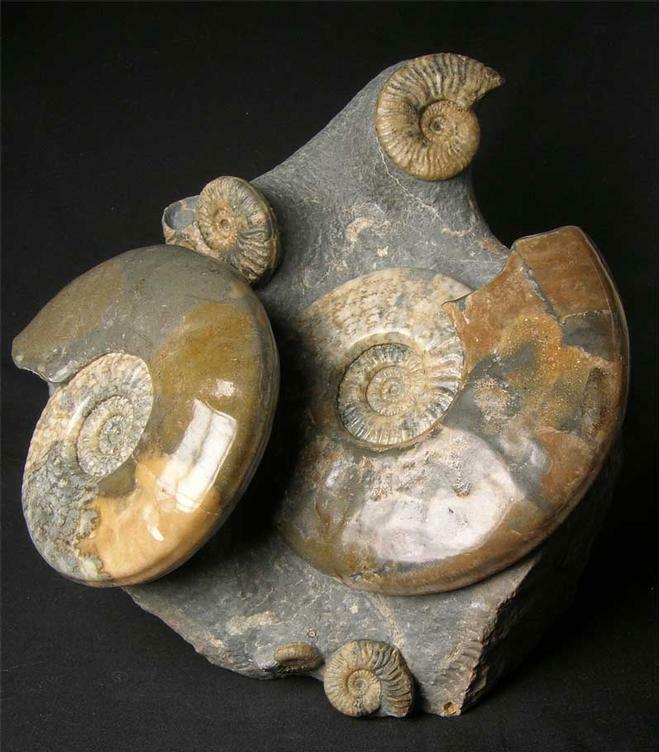 Any multi-ammonite specimens from this world famous locality are very rare to find thesedays due to the sheer lack of erosion. 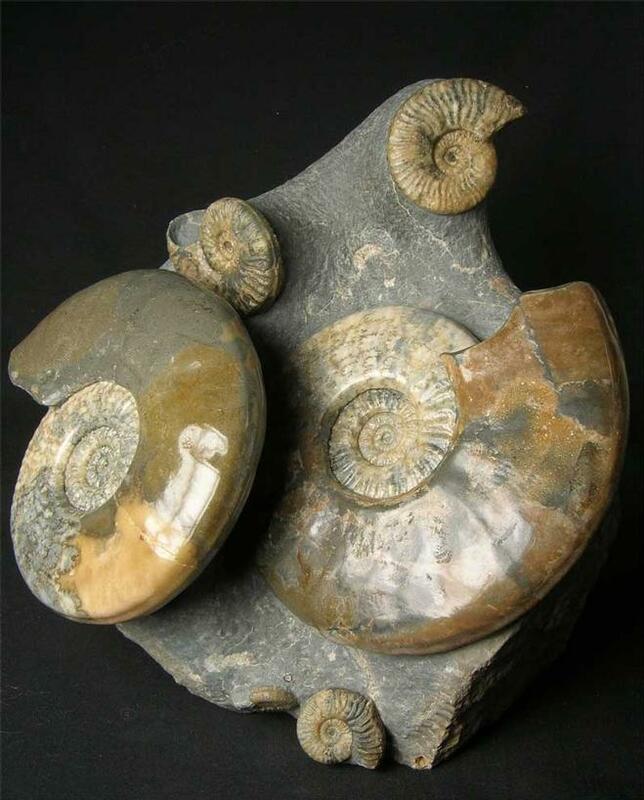 This magnificent fossil was discovered in 1996 by Andy Cowap. 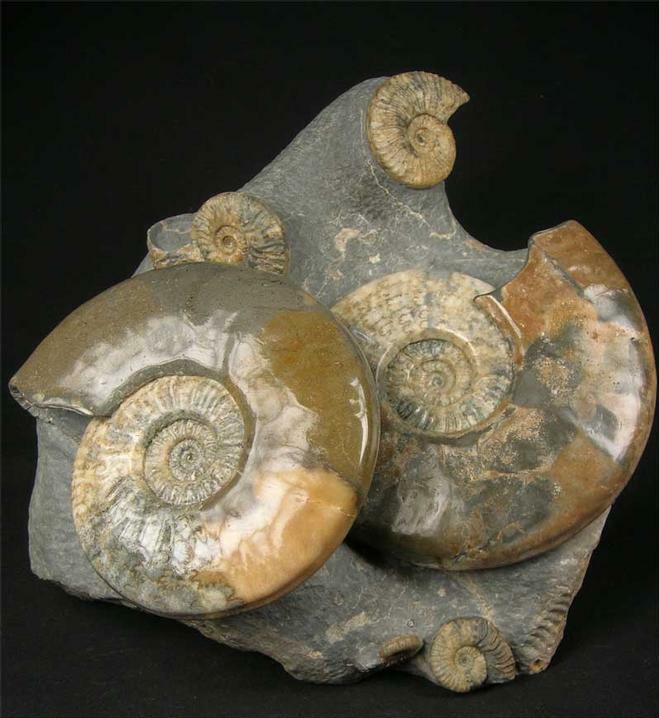 The ammonites are preserved in solid Calcite and display many beautiful colours. A small repair has been made to the underside of the large ammonite however, this does not detract at all from its sheer beauty. An anti-slip and scratch pad has been fitted to its flat base for peace of mind whilst displaying on furniture and stone surfaces etc. A truly unique and one-off display fossil from the shores of Skye. Approximately 175 million years old.